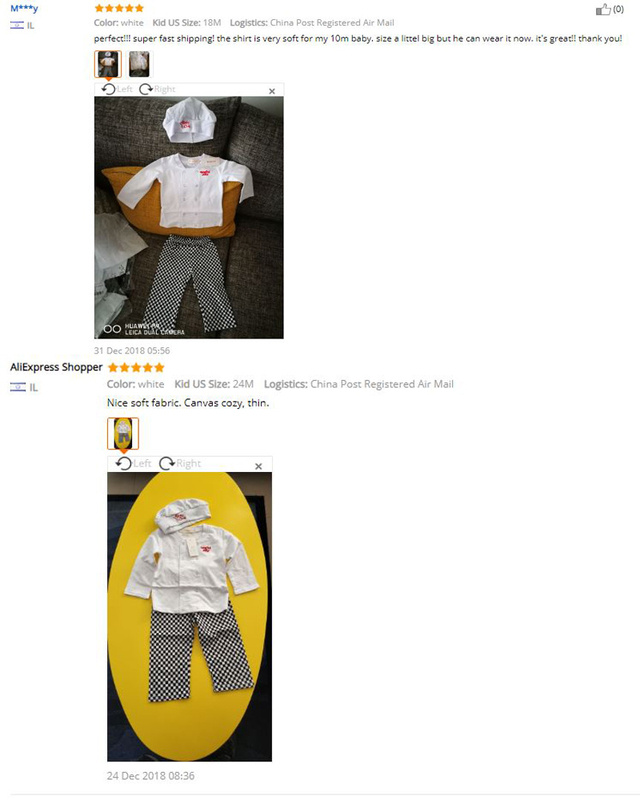 Lovely Baby Boy’s long sleeves cotton cook outfits, T-shirt and pants, paired with hat. Long sleeves T-shirt with double breasted press button closures. Mathing with plaid pants, comfortable and fashionable. Payment must be made within 3 days of order,you can pay us easily by follow Escrow process. All products are in stock,please just buy.All orders processed within 48 hours after the payment verification. Please make sure your name and address are right at aliexpress,wrong address or name case ruturn or not receive will be buyer’s responsibility. You have 7 days to contact us and 30 days to return it from the date it was received. If this item is in your possession more than 7 days, it is considered used and WE WILL NOT ISSUE YOU A REFUND OR REPLACEMENT. There are NO EXCEPTIONS! Shipping cost is bear by both seller and buyer in half . All returned items MUST BE in the original packaging and you MUST PROVIDE us with the shipping tracking number, specific reason for the return, and your order number.